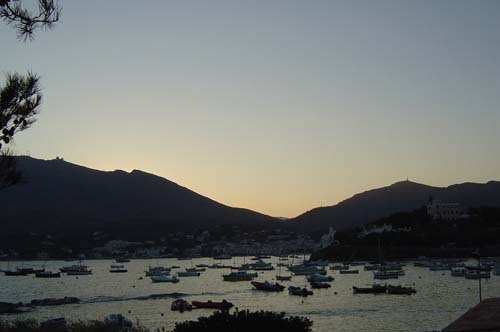 Cadaques offers a huge variety of things to do on holiday. It's also a great place to sit around, have lunch, do a bit of sunbathing and watch the world go by while sipping a sundowner. The Cap de Creus Peninsular is a nature reserve, and marks the eastern end of the Pyrenees, as they dip into the Med. There are plenty of walks both north and south of the peninsular with fabulous views across the bay and across to France. Around the bay is Port Lligat where you can visit Salvador Dali's House. Wander around old quarter of the village where you 'll find art galleries, clothes shops and craft shops. And if you are into scuba diving, you'll find plenty of diving shops taking visitors out to the secluded bays and reknowned sites. There a couple of companies that rent out boats in Cadaques, so you can explore the bay and beyond in the Cap de Creus. There are some great walks in Cadaques :also a real treat, if you are into hiking and if you prefer a stroll, there are plenty of options on that front too, and you will never be far from refreshements. We recommend watching this with a Sundowner in hand.